Example modifying the standard ILColorbar screen object for extended interaction. The data range for the colorbar is prepared to be editable with the mouse. The color data range of the attached surface object is changed dynamically by dragging with the mouse on the scale of the colorbar. The results are shown in the surface and presented on the fly. 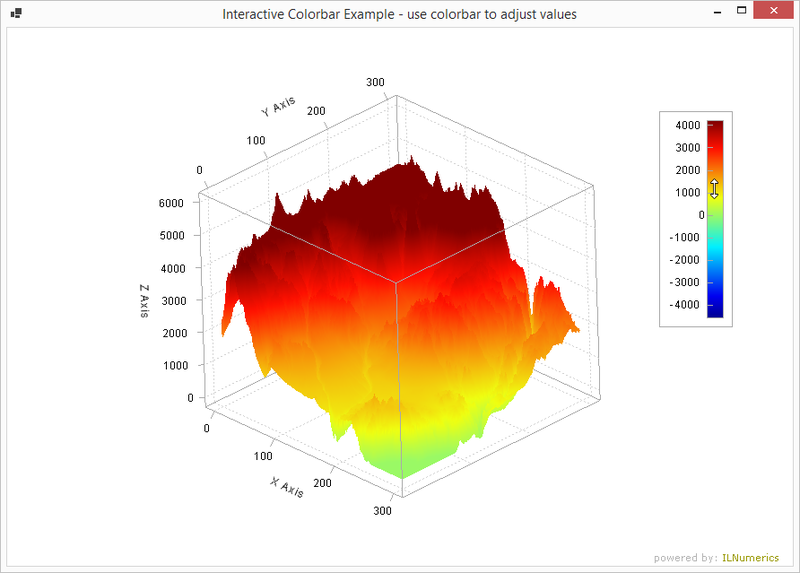 This example demonstrates the following aspects: scene setup with surface and colorbar, mouse event registration on the colorbar, event handling for dynamically updating the colorbar provider data, updating surface objects for dynamic colormapped data ranges.